Products nicely packed and in good condition. Fast delivery too. Delivery is not too late, so I'm taking it too! Finally received it almost one and a half month after place the order, but finally i got it. Thanks. My mom ordered it. I do not know, but my mom is eating this and getting fat. It is very good to buy the delivery fast and cheaply. As for inquiries, Qoo10 will correspond so please ask a question there. The product is well received. Are you eating four eggs before your meal? About 30 minutes before meals is said to be good for use. The maximum daily dose is 4 grains. Depending on the condition, please adjust 2 grains or 3 grains etc. Please use. Can I eat during nursing? This product is not a food developed for maternity( including those planning pregnancy ) and Breastfeeding season. Use during the period is not recommended. What difference does it have with the Kangkol calimit? I bought it because I did not have it, but is it different from it ?! It is the same diet supplement, but the brand is different and the ingredients are slightly different. In our shop we are only delivering to Japan. 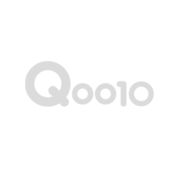 Shipping to overseas is outsourced to Qoo10 global. Since we can not answer that question at our shop, please ask Qoo10 global.